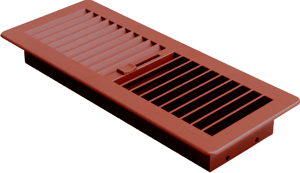 The Paltech Floor Register is stronger and tougher than metal, and will withstand the roughest household wear and tear. It will not rust, chip, bend or fade. The Floor Register is available in 2 sizes and 20 colours. 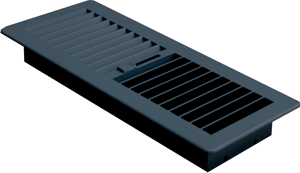 The Paltech Floor Register features an updated closing mechanism with new twin dampers for efficient air flow control. 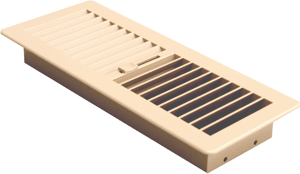 Its allows for accurate control of airflow, and is easier to open and shut. 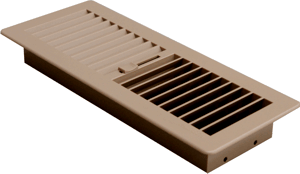 Unlike single damper units, it does not spring shut, and is easier to keep clean – it does not collect dirt like single damper units. The twin blade design has the added benefit of deflecting air forward when the blades are set at 45 degrees which minimises the need for separate air deflectors.